Recently, incidents of hazardous accumulations of CO2 in homes built on or near reclaimed mine land have been shown to be linked to neutralization reactions between acidic mine drainage and carbonate material. Surface CO2 flux measurements have been proposed as a potentially cheap and effective strategy to monitor and delineate such hazards to avoid residential and commercial real-estate development on high risk zones. For this strategy to work, more work is needed to understand the strength of association between CO2 fluxes on reclaimed mine land and relevant covariates (e.g. sample elevation, soil temperature and soil moisture) to ensure comprehensive monitoring. 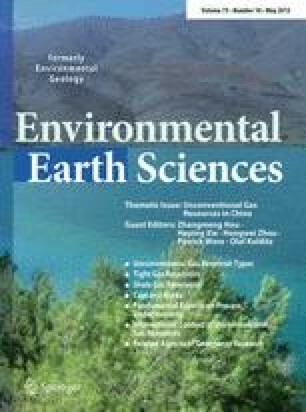 The objective of this study was to understand the extent to which CO2 fluxes on reclaimed spoil are affected by sample elevation, soil temperature and soil moisture. Specifically, the work tested the hypothesis that CO2 fluxes are correlated to elevation, soil temperature and soil moisture. Carbon dioxide fluxes from three study sites were measured and used in statistical analysis to test the research hypothesis. The results show statistically significant (p < 0.05) positive but monotonic correlation between CO2 fluxes and soil temperature, while fluxes and elevation are negatively correlated, monotonically in a similar manner. Where significant, correlation between fluxes and soil moisture was observed to be negative. This result implies that flux surveys on reclaimed mine land need to measure elevation, soil temperature and soil moisture at survey points. The authors would like to acknowledge: The US Office of Surface Mining, Reclamation and Enforcement’s (OSMRE’s) Applied Science program (Project #S09AC15437) and the Government of Botswana for financial support. Dr. Bret A. Robinson for his assistance in accessing the Hudson site and help during field data collection. Mr. Bismark Osei for his assistance in this work.